Seeking out information on your next vehicle purchase is important. That's why we take the time to create reviews on the Acura Acura TSX. All Acura retailers in Phoenix aren't the same. At Acura of Peoria, we feel it's our obligation to equip customers with quality Acura reviews that set us apart from the typical retailer. Make cognizant decisions when it comes to your next auto purchase, don't take guesses! Each article is packed with facts and vehicle features in way that's easy to understand. Can you see the TSX parked in your driveway? You won't know unless you read on! 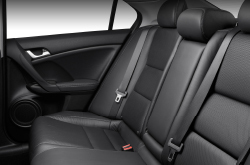 Compare the 2013 Acura TSX next to vehicles like the 2013 Lexus IS 250, Buick Regal, Audi A4 and the BMW 328i, and you'll spot that the TSX trumps the competition in many areas. Pay attention to our Quick List below to find out why! Have time to do a trade-in comparison? Click here! Acura of Peoria auto repair and service in Phoenix is just a click away! Your Acura deserves to be treated with the utmost care - that means TSX factory- trained Acura technicians, the bliss that comes from a 12-month service work warranty and bona fide Acura parts and accessories. 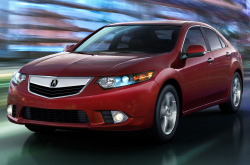 Our Acura auto service facility in Phoenix is home to competent repair gurus, so take your TSX over for quality service. We do a slew of services, from simplistic fuel filter replacement and customary inspections to more hard to do jobs such as electronics repair. Make a secure choice when choosing a place to have your Acura TSX repaired, and don' forget: At Acura of Peoria you can rely on getting superior service and budget prices on Phoenix car repair. Click the upcoming link to find terrific service specials now!